ROCKVILLE, Md. , October 2, 2018 – Savantage Solutions (Savantage), a leading provider of enterprise information technology and business solutions to the Federal government, has been awarded a prime position on the U.S. Army's Information Technology Enterprise Solutions – 3 Services (ITES-3S) contract vehicle. Savantage Solutions is a woman-owned small business headquartered in Rockville, Maryland that provides a wide range of consulting, integration, technology and support solutions and services to Federal agencies. 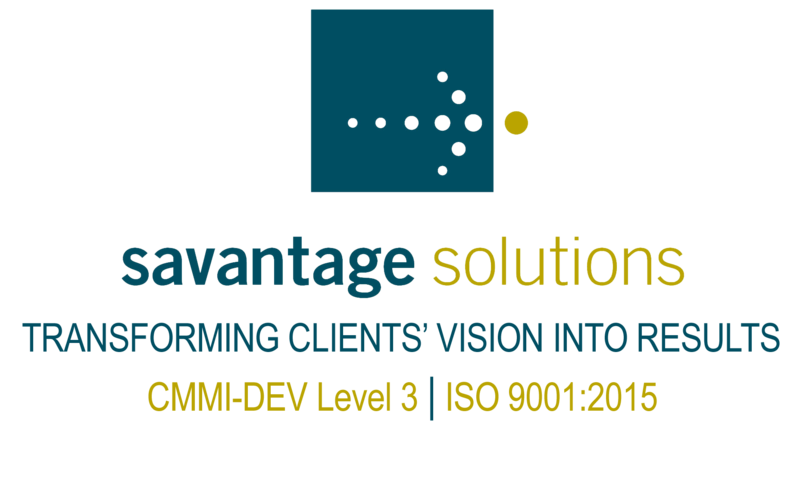 A CMMI-DEV Level 3 rated company and an ISO 9001:2015 certified organization, Savantage is a leading provider of software development, business consulting and program management support services. One of only five vendors of financial management systems certified for Federal use, Savantage takes pride in its emphasis on service excellence. For more information, please contact Ayesha Rahman at 301-258-5600 or by email: [email protected].